One of India’s biggest stars, Amitabh Bachchan, says he’s glad people are talking about the gender pay gap. He recently starred in a film called Pink about feminism and attitudes towards women in India which has caused quite a stir in the country. He spoke to the BBC’s Yogita Limaye. Charles-Before moving to UK, I worked for about 8 years in the public sector (Central Government) in India, and found the same disparity over there. Therefore my comments hold for India and UK, as I do not think the attitudes in the private sector have changed that much since I left India! 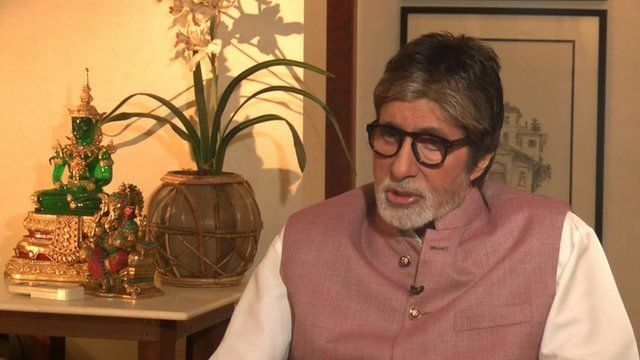 Yes, I have just seen Amitabh Bachchan’s interview with BBC’s Yogita Limaya. Having worked in UK in the public sector for over 30 years, I think that public sector (especially Professional employments) offers the same grade/scale to both genders, but in the private sector, where there are no grading, especially in the non-professional positions, the disparity exists. Ramesh – it’s not clear whether you’re commenting on gender disparity in India or in the UK.